What do you want to protect? Office Safe vs. Fire Safe? 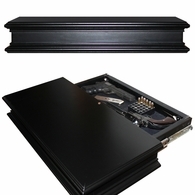 An office safe provides both burglary and fire protection. A fire safe only offers fire protection-- NO burglary protection for business assets. Looking to purchase in bulk or become a dealer? Looking to purchase items in bulk? Click the link below for more information on how to receive discounts on high quantity purchases or to become an official dealer. A growing grandchild with a keen interest in exploring. 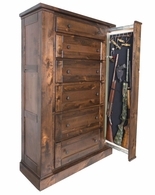 This is what prompted their co-founder to develop the first Willa-Hide cabinet. As a responsible gun owner for many years, he wanted to guarantee the safety of his family while still being able to easily access his firearms. Hiding them right in plain sight turned out to be the answer and Willa-Hide was born. Today, Willa-Hide has grown into the first stop for luxury home decor and concealment. 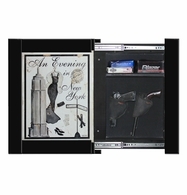 Branching out from it's humble beginnings, the company has become the fastest growing concealed cabinet manufacturer in the country. 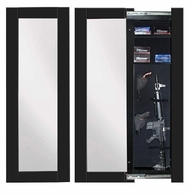 Now with the ability to hide firearms, jewelry and valuables in many different options, the future seems bright for Willa-Hide. And it hopes to share that brightness with every person that owns a Willa-Hide cabinet. Want to be invited to Dean Safe's private sales? Subscribe below. Rather order by phone? Need more information? 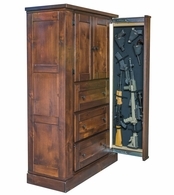 Call (800) 827-7534 and one of our safe experts can help you find the right safe to fit your needs. All photos & words are copyrighted© 1978-2018 by Dean Safe or their respective owners. All rights reserved. 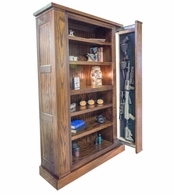 Get discount prices and great deals (and often free shipping) when you order online from Dean Safe. Your purchase is protected by our 100% satisfaction guarantee and our secure servers. Review our products with our expert comparisons, reports, buyers guides and reviews. Shop our online closeouts for sale items, bargains, with values ranging from good savings to downright cheap! *Same Day Shipping: Orders placed by 3pm (PST). Applies to most items (indicated on each product page). Sign up for exclusive deals, promotions, & sales!